What's this? 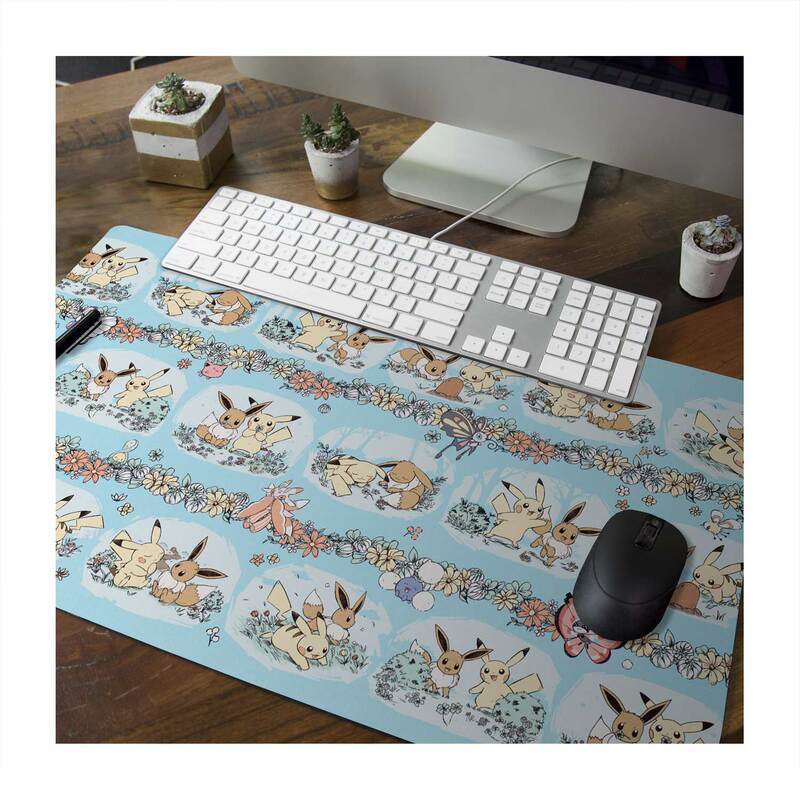 It's two Pokémon spending a day together, exploring the forest! 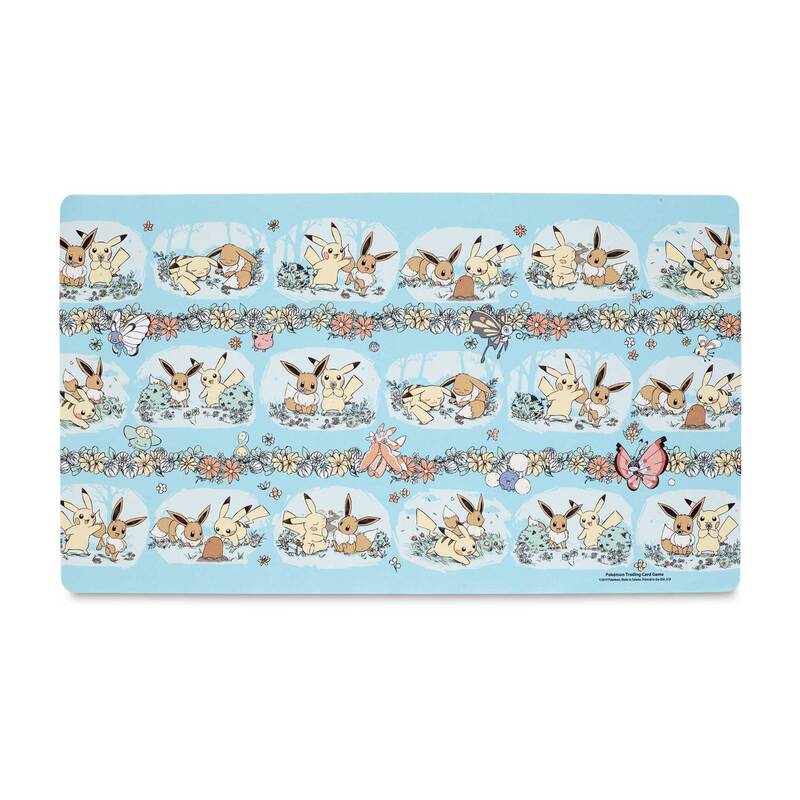 This charming playmat shows Eevee and Pikachu exploring, romping, and enjoying a day out in nature. 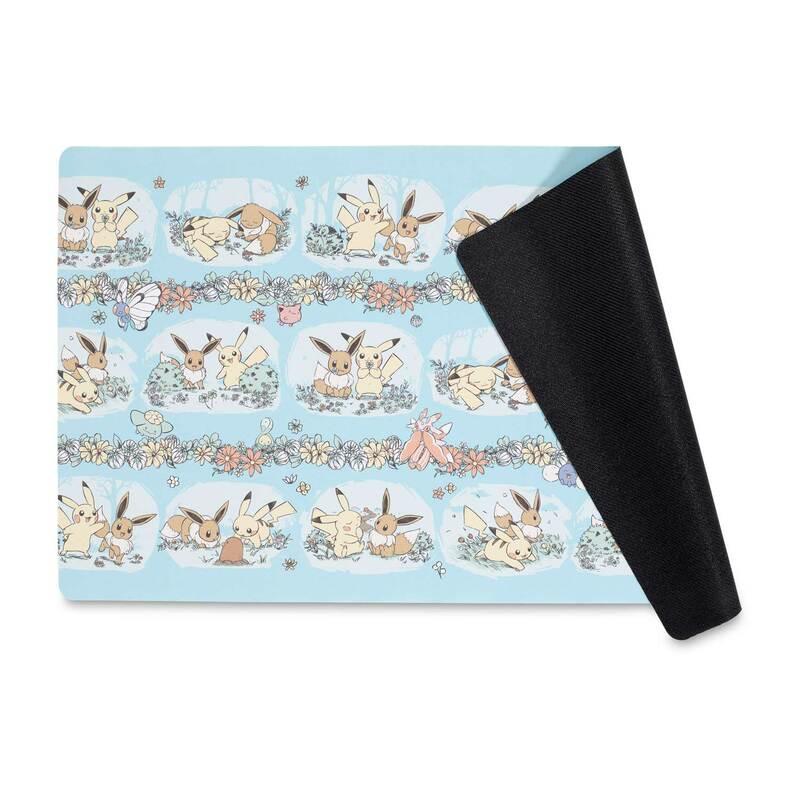 Put a smile on your TCG opponent's face with this adorable playmat!